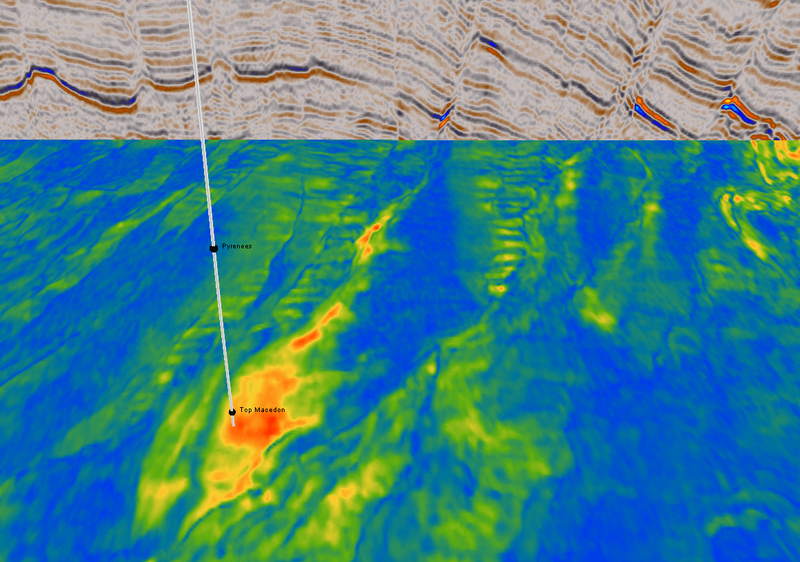 One of the most common seismic attributes used in reservoir characterisation is the RMS Amplitude. The RMS amplitude (root mean square) or quadratic mean is independent of phase and will highlight the magnitude of the amplitude response over a certain footprint. 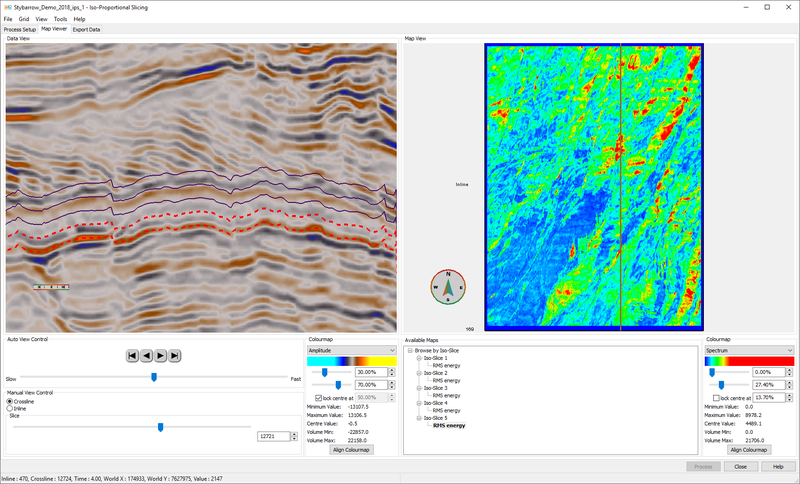 GeoTeric incorporates RMS amplitude calculations in the iso-proportional slicing tool. Here the user can tick the RMS Energy option when setting the parameters for the slicing and the RMS amplitude will be calculated for each of the generated slices. You can learn more about iso-proportional slicing in here. In many cases, it can be useful to have an RMS volume, which provides a faster way of screening for anomalies. If your data is not in floating point, you will need to convert your data to floating point as not to clip the integer data. To check if your data is in floating point format or not, under File -> Project Manager -> Volumes. Go to Workflows -> Processes and Workflows -> Processes -> Utilities -> Convert. Select your input volume, select Float on the “convert to” dropdown menu, give the output volume a name and click Run Workflow. In order to compute the RMS volume in GeoTeric we will first calculate the square of the reflectivity, then take the mean of that volume by smoothing. Lastly, the square root of the mean volume will be calculated. Go to Workflows -> Processes -> Volume Maths -> Parser. Select your floating point data and click the >> button to select it as your input volume. Type the parser expression im1^2, give the output volume a name and click Run Workflow. This will produce a squared reflectivity volume. Remove the Parser#1 tab from the batch processor and go to Processes -> Attributes -> Stratigraphic Attributes -> Smoothing. Select the output of the previous step as your input volume. Select the required footprint depending on the window you want to use (i.e. use 1x1x5 for a window of 5) and click Run Workflow. The result of this Smoothing will be the mean of your squared amplitudes. Remove the Smoothing#1 tab from the batch processor and go to Processes -> Volume Maths -> Parser. Select mean of your squared amplitudes and click the >> button to select it as your input volume. Type the Parser expression im1^(1/2), give the output a name and click Run Workflow. The result of this calculation will be your RMS volume. Alternatively, we have a batchjob file available which can be downloaded here. This batchjob file can be loaded directly into GeoTeric by going to Workflows -> Processes and Workflows -> File -> Open… Then we have to set the input volume in the first tab (Convert#1), select the z footprint in the third tab (Smoothing#1), and press Run Workflow to generate the RMS volume.